The Media Generation team has decades of experience of running large international business to business events, in more than 15 countries. Paul has worked in senior positions in a number of large organisations including Enterprise Oil plc and Shell. In 1994 he moved to Madrid as Finance and HR Director of Shell España. ​​In 2000 he moved back to the UK to set up the Media Generation Group. ​He was a non-executive Director of Spearhead Exhibitions from 1986 to 1995. ​Andy has over 20 years involvement in the exhibition, conference, promotion and product marketing industries. ​He has worked on many successful projects in NZ, Australia and Europe, and been involved with successful start-ups from launch and development to trade sale. ​​Recent experience has been in the development of All-Energy UK and All-Energy Australia. Tony has more than two decades’ senior experience organising large international B2B events, including a previous career in British Army Centres of Excellence where he was heavily involved in running large scale public and military events. He has run events in more than 15 countries across various sectors, and is currently Event Director of InterMET Asia and InterFLOOD Asia. Ian graduated from Lancaster University and has extensive publishing, editorial and communications experience gained with Reed, Morgan-Grampian, EMAP and the FT Group. ​​He was news editor of Financial Adviser from 1988 to 1990 and personal finance editor of The Scotsman from 1990 to 1994. From 1994 to 2000 was in charge of public relations at CGU Life. Ian acts as Conference and Content Director on many of the Media Generation portfolio of shows. 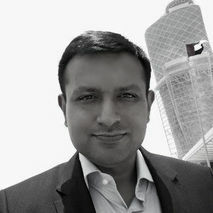 Faisal has over 20 years’ experience of organising niche B2B exhibitions. Associated with the Media Generation Group since 2001, he has worked on successful projects in several countries, including Bahrain, China, Kenya, Kuwait, Qatar, Rwanda, Singapore and UAE. His current focus is on developing new shows in Southeast Asia. Faisal holds an MBA in marketing.